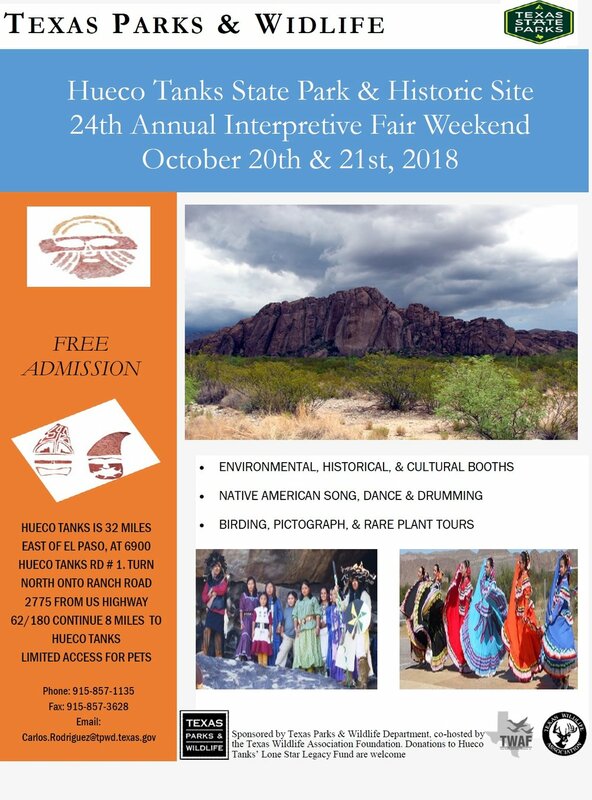 The 24th annual interpretive fair held on Saturday, October 20, 2018 from 8am to 9pm and Sunday October 21, 2018 from 8 am to 6 pm. This event is a family oriented and focuses on the use of outreach and education to inspire the preservation of the Site’s natural and cultural resources. MAP to Hueco Tanks.